Edit by staff: This topic does not pertain to BitComet scheduler. If you happened across this topic looking for help with scheduling bandwidth in bitcomet, then look elsewhere, this is unrelated. 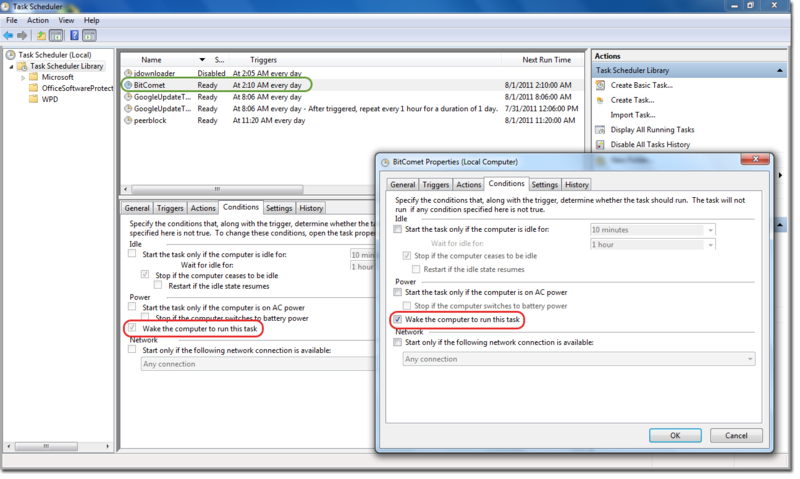 I can't confirm this using Win7 ultimate x64. What version are you using? and can you show a screenshot of this? I can't make this happen either. I'm not entirely clear what you mean, because there's nothing really useful to be accomplished in the "properties" entry for Task Scheduler, so I suppose you must mean the various fields of Task Scheduler itself, but these are all available for me. it should look like a normal folder with shortcuts in it. Make a sreenshot of it and post it here. Right click a shortcut and click open file location, it should take you to %windir%\system32. If it returns an error you need to repair or reinstall your windows. 1. How to run BitComet (or any application) using scheduler so that system wakes up from the sleep automatically to run the task. Before I read your post, are you logged into a user account with administrative privleges? Also, does your account have a password? Some features are disabled if your account isn't passworded. Also, if you disabled uac, try turning it back on. if you mean't administrator account yes. 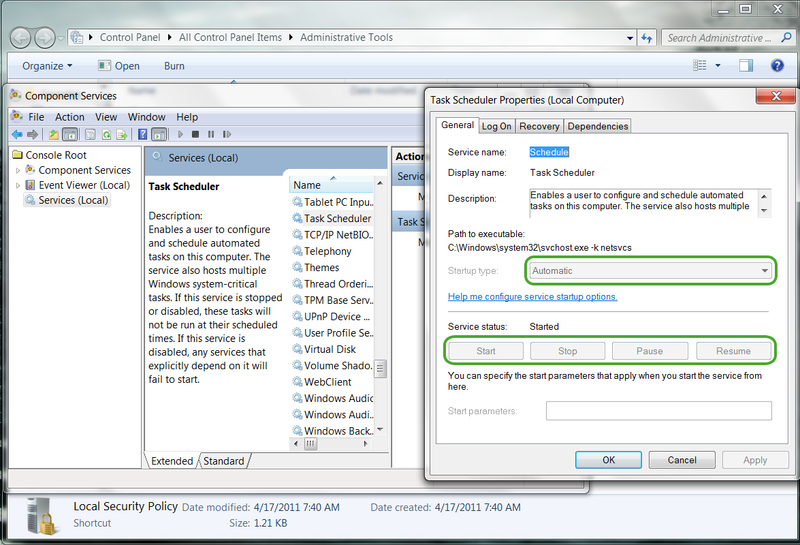 When your in "administrative tools", instead of opening "component services", try opening "Task Scheduler", then there will be a link to setup a task. I suspect that once you set one up, the items will no longer be grayed out. 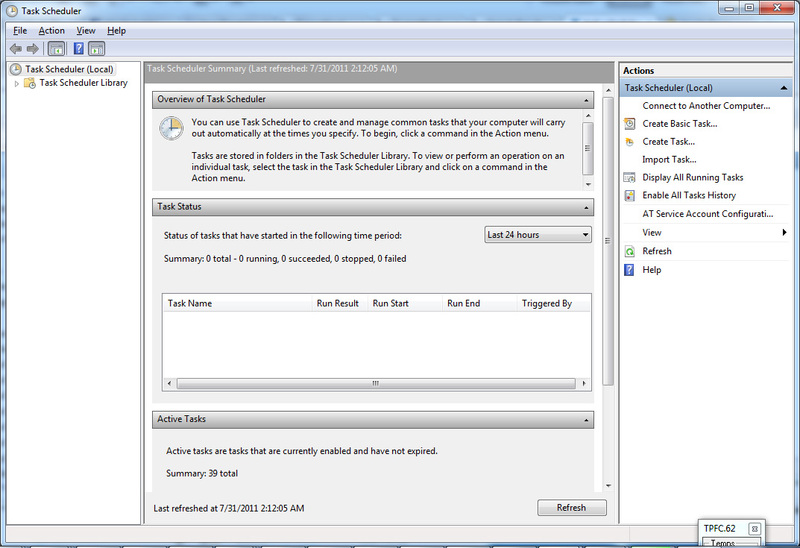 well, as you can see i already created several tasks, the only problem is I can't make the computer to wake automatically to run the task. even if i checked those boxes :( the computer won't wake up at all and plus when wake I it up manually after several minutes task automatically runs on start up even though I unchecked that option 'start task as soon as possible after a scheduled start is missed'.did you tried to create a task in laptop? and made it wake from sleep? is it worked? I've never tried to do this before, so I can't offer solutions... just suggestions, so when your computer sleeps, do you have it set to sleep automatically? or are you doing it manually?